Deadline for registration is April 1st, 2019. The workshop will take place at the Hönggerberg campus of ETH Zurich (directions). 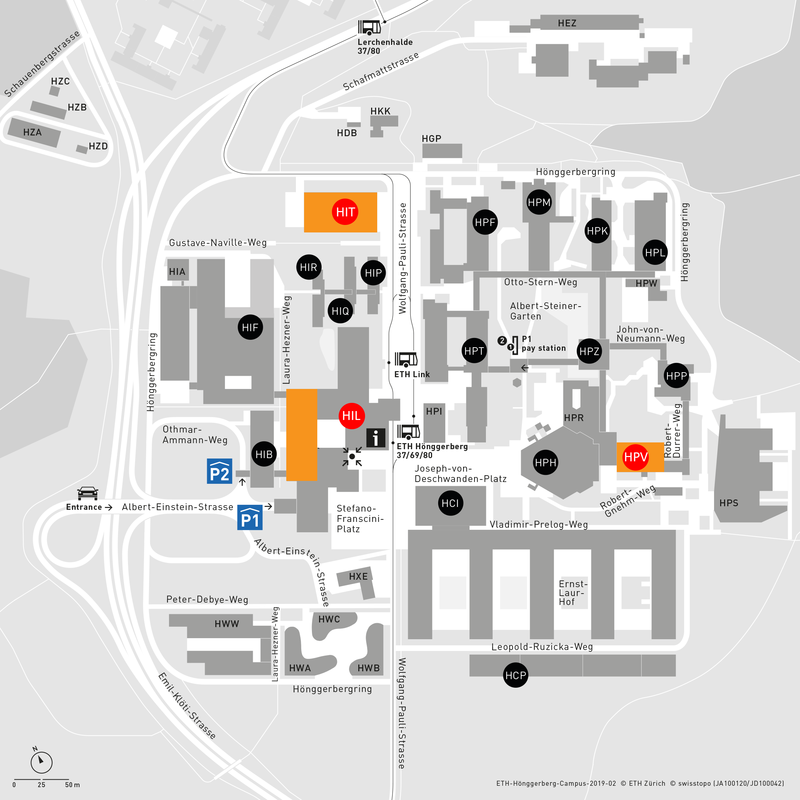 For lunch, we recommend either Rice up (in the building HIT), Fusion (in the building HCI) or food market (in the building HPH), see Campus Map Below. There is also a full service restaurant BellaVista in the building HGP (opening times: 11:15 - 14:00).